Air Conditioning Service Nevada: Is an HVAC Service Plan Worth It? Is an HVAC Service Plan Worth It? At Tippetts Mechanical, we understand why people are leery of HVAC service plans. Service plans require regular payments, and people don’t want to get locked into paying for service they may not need. They want to save money by only paying when things go wrong. This would be a great way to handle HVAC maintenance it if problem magnitude wasn’t an issue. Unfortunately, when HVAC problems are left to simmer until they become catastrophic, they are very expensive to repair. That means that people trying to save money by avoiding regular maintenance end up paying for it anyway – just all in one go. As you can imagine, nobody likes this, either. At the end of day, you need to go with the solution that works best for you. In today’s blog, we are going to share the main pros and cons of service plans in hopes that this information will help you make the best decision for your home or business. Annual tune-ups mean your HVAC system won’t suffer from dirty filters and other factors that impact efficiency (and your bank account). An experienced technician will be able to spot issues while they are small and take care of them before they get very expensive to repair. Service plans usually include discounts on parts and priority emergency service. Service plans can cost up to $500 a year, depending on how complex they are. 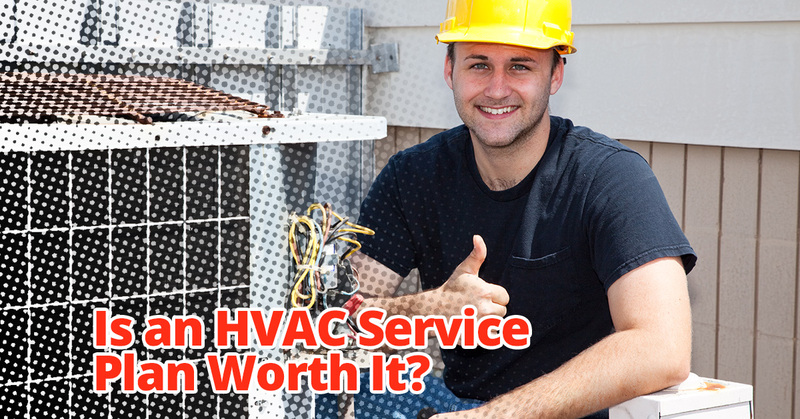 They may not be worth the investment if your HVAC system is still covered by a warranty. You have to pay for the service plan even if you don’t use it. If about five years go by and you don’t need any major repairs, you may be paying more for the plan than the plan is worth. No matter what your HVAC system may need, you can turn to Tippetts Mechanical. We proudly offer Las Vegas world-class heating and air conditioning service. Learn more today!